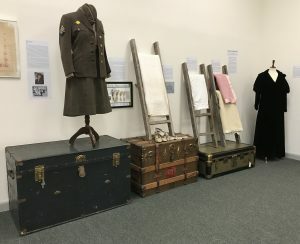 Visit the WHM to view a selection of textiles from the collection featuring a uniform from a woman who served in the Women’s Auxiliary Corps during WWII, an Emancipation Period sampler, wool blankets from Mt. Hope Farm, a sheet made from flax farmed and processed in South Williamstown, and a velvet opera coat that once belonged to a well known town resident. 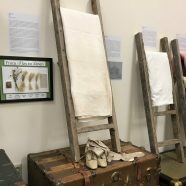 Most of the pieces in this exhibit were evaluated in 2016 by a textiles conservator that was funded through a board initiative, and were then conserved at the Williamstown Art Conservation Center with funding from the Community Preservation Act Fund. The WHM is grateful to the town for its support of this conservation project.